Microsoft today announced the new Xbox One Wireless Controllers Ocean Shadow and Winter Forces. Both new controllers will be available on February 7 for $70. The Ocean Shadow Xbox One Wireless Controller features a matte black top that slowly fades into a light blue metallic finish as it reaches the bottom of the controller. On the other hand, the Winter Forces controller comes with white and grey arctic camo pattern. Apart from the color patterns, both Xbox Controllers are same as original one. The controllers feature the textured grip on the back, along with Bluetooth connectivity for easily pairing the controller with your PC. 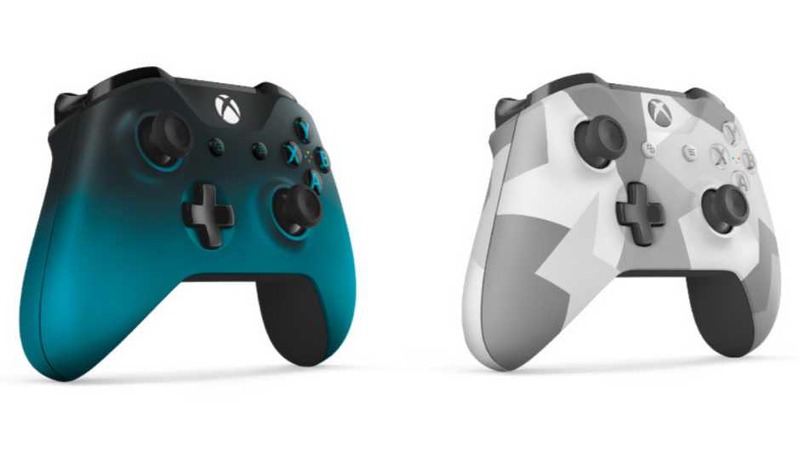 For now, you can pre-order both controllers at the Microsoft Store ahead of their February 7 release.